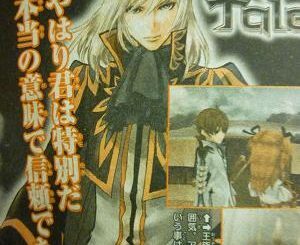 HomeNewsNamdai's Next RPG Project K Could Possibly Be a New Tales Game? Namdai's Next RPG Project K Could Possibly Be a New Tales Game? Bandai Namco Games Japan has opened up a new teaser site for their new "Next RPG Project K". There is currently no news on as to what it is, for what console it is or even if it is a Tales game or not. There have been, however, hints about the game presumably being an upcoming Tales game for the Nintendo DS. When they had updated the Namdai news list about this update, it was originally filed under "Nintendo DS" with the DS icon. Either they accidentally posted it early, or they just made a mistake in posting. This has now been fixed though with a new icon, indicating that it is a home game. Also, despite Namdai's many subsites for their games, only the Tales Channel has a link leading to Project K's teaser site. 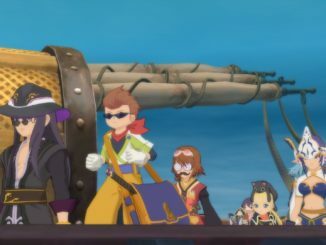 Because of this, many are now speculating that this could be a new Tales game. There are also some who believe that it's a Sergeant Keroro game. The teaser site will be updated seven days from now according to its countdown. 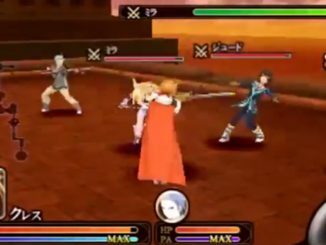 We will all know by then if this really is a Tales game or not. EDIT (Nov 6): I found this within the Project K countdown site. Is anyone familiar with it, or is it something new? EDIT (Nov 6): Thank you for the replies. Apparently, these symbols found in Project K's countdown site flash file are Keronian, from Sgt. Keroro, as you'll see here. So this is pretty much a Sgt. Keroro game.